"Let's Move"" and HR 4601 The National Nurse Act of 2010 have potential to become a very productive partnership! Engaging volunteer nurses in "Let's Move" will be facilitated with passage of HR 4601, calling for the Chief Nurse of the US Public Health Service to be known as the National Nurse to provide guidance for prevention efforts in local communities. Supporters of HR 4601 seek a National Nurse to raise visibility of nursing and tap into the existing skills and expertise of our nation's nurse workforce to address the rising epidemics of preventable conditions. Many nurses (including students and retirees) indicate willingness to be involved in their community's prevention efforts, but see authoritative leadership, social marketing and national emphasis are needed. Nurses know resources, have key knowledge, value evidence based interventions and can implement ongoing evaluation. Nurses are also present in all cultural communities and are repeatedly voted the "most trusted" profession. They can be strong advocates for "Let's Move" and other health promotion programs. Leadership and guidance provided by the National Nurse will enable a ready pool of skilled and qualified advocates to hit the ground running and implement evidence based interventions. The public, including youth and parents, will better understand roles of community and public health nursing, thus recruitment to nursing and other health professions will be enhanced. Student nurses will find valuable opportunities for community service and learning experiences. Retirees can remain active in their profession and utilize their skills and experiences advantageously. The Medical Reserve Corps, the American Heart Association and many other existing networks for health promotion will gain skilled manpower and their programs will be strengthened by participation of local health professionals. This concept is cost effective as it utilizes an existing position and avoids duplication. Local grants can be sought to fund local efforts. Many nurses and stake holders see the potential for a productive partnership here. They would welcome an opportunity to discuss this legislation with the First Lady. Nurses also want to thank Michelle Obama for adopting this worthy cause, wish her much success, and visualize a National Nurse at her side to offer guidance and expertise. 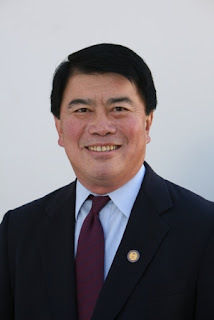 The National Nursing Network Organization and supporters thank Congressman David Wu (OR-1) for his co-sponsorship of HR 4601 The National Nurse Act of 2010.
thank you sir for stressing the importance of nurses in health care! my mom is a nurse and i want to be like her. its difficult to get into nursing schools in U.K.and U.S. and i believe the HR 4601 can help us a lot here in Cali. On March 5, 2010 HHS Secretary Sebelius announced the availability of $10 million in Recovery Act Funds for the Community Prevention and Wellness Initiative (CPWI). The intent of this funding opportunity is to make it easier for national, public, or private non-profit organizations to apply for funding in cooperative agreements to help communities decrease smoking and obesity, increase physical activity and improve nutrition. From the fact sheet describing Communities Putting Prevention to Work, "The HHS Office of Public Health and Science is leading the national organizations component of Communities Putting Prevention to Work in partnership with the Centers for Disease Control and Prevention. Many national organizations serve as trusted community sources where families go to participate in programs and come together with others to talk about important issues and build partnerships for action. While other pieces of CPPW target funding to local and state governments, HHS recognizes a national prevention movement will require additional leaders. This new opportunity creates a model public-private partnership to make and sustain important changes in communities." This provides strong rationale for Congress to pass HR 4601 The National Nurse Act of 2010. The bill language asks for the CNO of the USPHS to be known as the National Nurse, and also asks specifically for the National Nurse to encourage community-based, nonprofit organizations to seek grants for the purpose of education and interventions to address the annual health priorities. This legislation also includes language for the National Nurse to encourage practicing nurses and other health professionals, including retired health professionals and students enrolled in health professional programs, to participate in health promotion activities and replicate successful health promotion activities. Health promotion and disease prevention are cornerstones of nursing practice. Nurses want to become active advocates for prevention in their local communities, and more needs to be done to prevent the rising incidence of chronic preventable diseases and their costly consequences. “In the United States, 7 of 10 deaths result from chronic disease,” said HHS Assistant Secretary for Health Howard K. Koh, M.D., M.P.H. The National Nurse would provide this necessary and important direction. 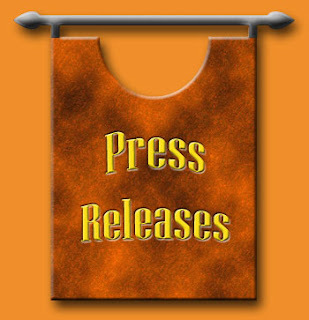 Thanks for sharing this informative press release which can be very useful for students. Meet With Your U.S. Representatives! 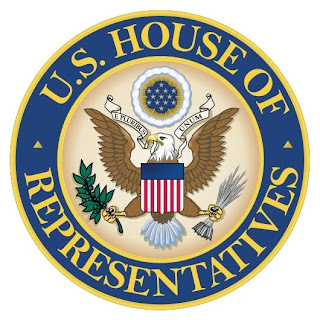 Great news… did you know that your own U.S. Representative will be at home during March 29-April 9th; Congress is in recess during this time. You and other supporters are encouraged to call their local office and make appointments to discuss and advocate for HR 4601 The National Nurse Act of 2010. To assist you in finding out who your Representative is and to find their phone number, visit this Take Action Link. These appointments are important and effective because a voting constituent always has the attention of their elected official. These meetings are also fun and very rewarding because you personally have taken action to make a difference in improving the nation’s health. If you happen to be an undergraduate or graduate nursing student, this is also an excellent way to fulfill a class project on leadership, policy-making, and political activism. The Nursing Network Organization has put together materials and talking points to help make your visit a success. Please email the NNNO Board to receive materials that you can print from your own computer to take with you. Every day nurses play essential roles in the lives of their patients. One of our most important roles is as teachers. We give people the tools to make healthy decisions. Yet, the benefits of preventative medicine and education have been largely ignored over the past years, and the support nurses and patients need to properly carry out prevention has not been there. We need a National Nurse to be a national advocate for our patients and for nurses so that we can help develop a healthier America. A National Nurse would provide valuable insight that comes from men and women who are at the bedside more often than any other health care provider, people who hear patient needs on a daily basis. Statistics show that prevention is key in health promotion. A recent study of obesity in America titled F as in Fat: How Obesity Policies are Failing in America 2009 shows that “[e]xperts estimate that more than a quarter of America’s health care costs are related to obesity.” and “[t]hat an investment of just $10 per person per year in proven community-based disease prevention programs could save the country more than $16 billion annually within five years. This is a return of $5.60 for every $1.” In the next few years, patient care will need to become more prevention based than treatment based if we are to meet our Healthy People 2010 and 2020 goals. A National Nurse will be essential to successful health care reform in America that truly benefits all by making healthier Americans and decreasing health care costs. A National Nurse would be a national health care advocate for all Americans. Please join me in strongly supporting HR 4601 The National Nurse Act of 2010.